I continue to try to keep a handle on what he's reading and interested in. While I certainly don't read everything he's reading, at least once a month or so, I make an effort to read a book that he has read and talk with him about it. Sometimes the "discussions" are very short. :) Even so, I feel like they give me an extra point of connection with him, which is valuable. So let's talk about a couple that we've both read lately. 3.5 stars: Entertaining behind-the-scenes look at the popular movie, with photos and Kinney's signature illustrations. If you've got a 3rd grader in your house, there's a good chance you already know all about The Diary of a Wimpy Kid books. My son has probably read them all at least 3 times. Although we have yet to see the movie, when he happened upon The Wimpy Kid Movie Diary at the library, he snatched it right up. Then I picked it up, too. It was hard not to! It was a fun, quick read. Kinney describes several parts of movie-making, from the casting to special effects. He talks about the challenges of turning line-drawing illustrations into real characters. He introduces the actors and actresses and tells stories about good times on and off set. A good mix of illustrations and photos keeps the pace lively and the visual interest high. 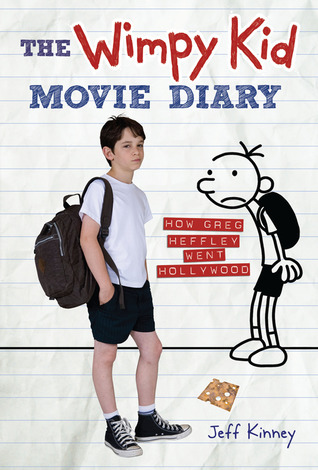 A sure hit for Wimpy Kid fans! 4 stars: Who doesn't like a good true mystery story? 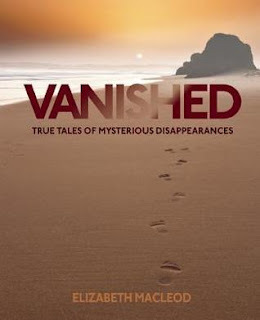 Six stories about people or things that disappeared and still have yet to be found again, written for a middle grade audience: the Roanoke Colony, the Gardner museum art heist, an Alcatraz prison break, and more. MacLeod goes into what is known about the disappearances, the methods used then and now in an attempt to solve the mysteries, plus the current best guess of what really happened. This one was short, and included all kinds of sidebars and photos. Well done, and made for some good conversation afterword, as we talked about our own theories. What have your kids been fascinated by lately?